Home News Cerezo eyeing Kosuke Nakamura and Yoshito Okubo? Cerezo eyeing Kosuke Nakamura and Yoshito Okubo? As the 2018 season is coming close to an end, transfer rumors are gradually coming out. The latest issue of football magazine Soccer Digest features their prediction of how the transfer market will go during the next window. As to Cerezo Osaka, three players are mentioned in the article. 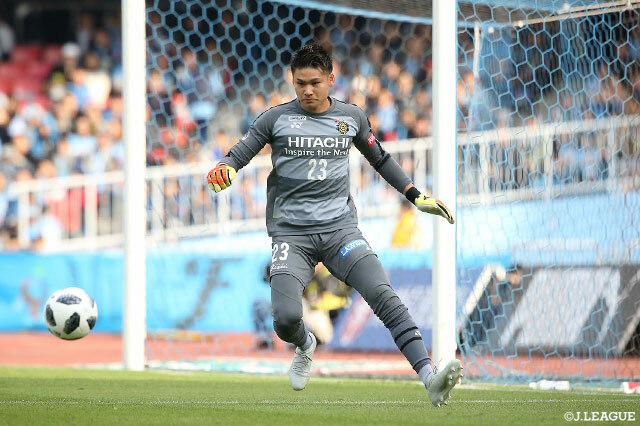 Kosuke Nakamura (Kashiwa Reysol): According to their source, there is a possibility that Kim Jin-hyeon may leave the club, and Cerezo are placing their top priority on acquiring an NT level goalkeeper. Then, Kosuke Nakamura should be a natural choice as no one doubts his ability and his team may be relegated to the second division. Yokohama F. Marinos are a competitor. Yoshito Okubo (Jubilo Iwata): Cerezo have been interested in this former Japan (and of course Cerezo) striker. They are ready to offer him a post-retirement job, such as an academy coach. V-Varen Nagasaki, whose home city is where he spent six years when he was a junior high and high school student, are a competitor. Yoichiro Kakitani: While he was rumored to leave the club to join their local rival last summer, Kakitani stayed and will very likely stay at the club next season too. But depending on who will be appointed as the manager, there is a possibility he leaves. One caveat here: You don’t need to take these rumors very seriously. It’s a little too early to talk about transfer with some degree of certainty and Soccer Digest isn’t quite reliable when it comes to transfer rumor. Just consuming these news for fun should be good.